As much as we may dread election time because of all the negative ads on television, we have to give props to some of the candidates of the past who came up with some clever and memorable campaign slogans. 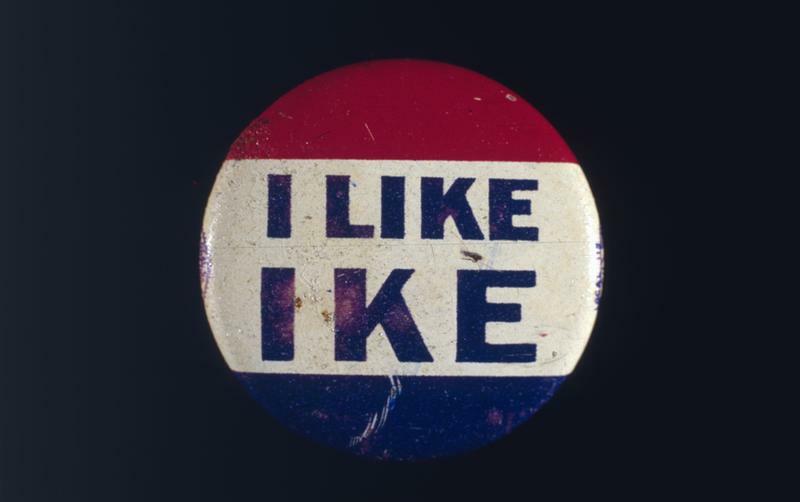 These slogans, which appeared on buttons, pins, banners and t-shirts, helped to attract favorable attention to the candidate. 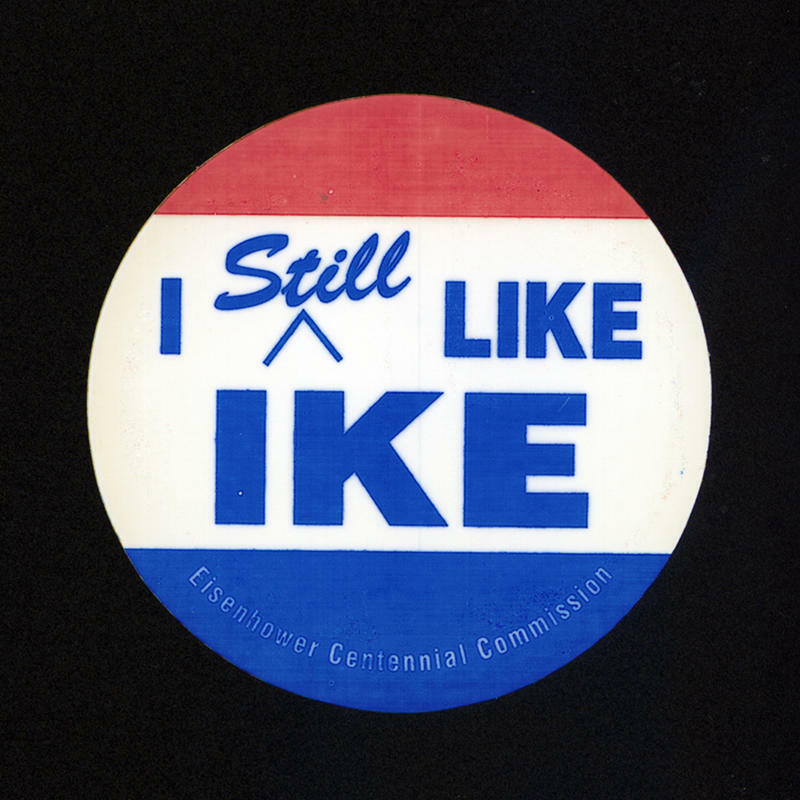 Some were successful and others were not…but they can all be remembered as some of the best presidential campaign slogans. Oh, my! This campaign slogan may not pass the standards of today, but in the mid-1800s, it was a clever take on the last names of two important gentlemen. James K. Polk, a Democrat, was the U.S. president in 1844 but was beaten by a Whig, Zachary Taylor, in the next election, in 1948. The Democrats sought to re-take the White House in 1952 and wanted to remind voters of the success of Polk’s presidency. 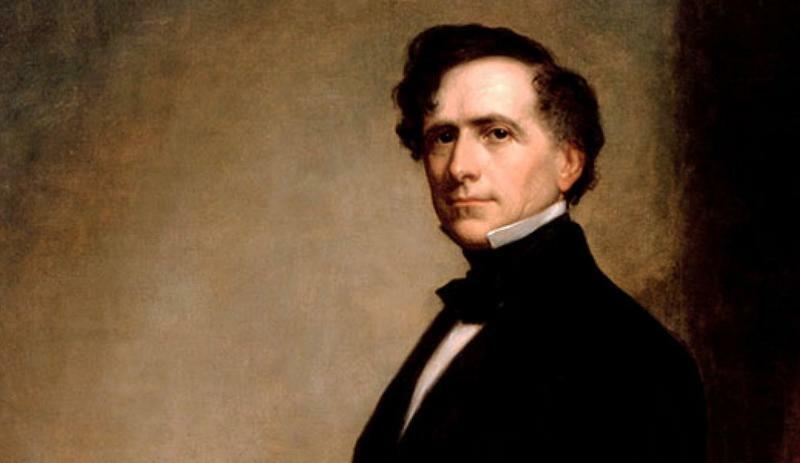 They evoked his name and the new candidate’s name…Franklin Pierce…in the campaign slogan, “We Polked you in ’44. We Shall Pierce You in ‘52”. The campaign was a success and Pierce was elected the fourteenth president of the United States. Tough as nails, Harry Truman, used his personal nickname, Give Em Hell, Harry, as his campaign slogan when he ran for the presidency in 1948. 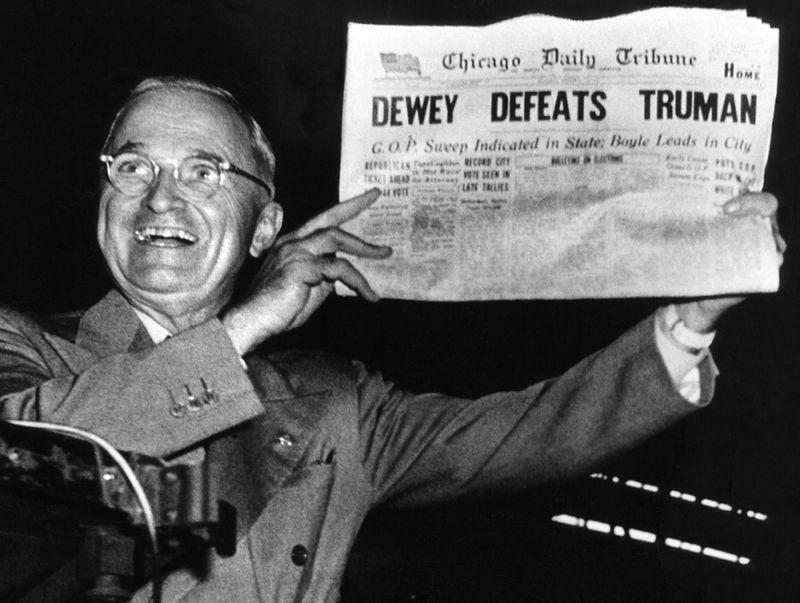 It was this election in which the Chicago Tribune demonstrated the first case of fake news when it jumped the gun and printed its now-infamous “Dewey Defeats Truman” headline. Harry wasn’t mad…but he gave them hell all the way to Washington. 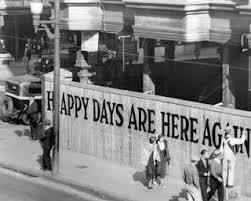 Franklin Roosevelt adopted the Lou Levin song, “Happy Days Are Here Again” for his 1932 campaign as a way to project an air of confidence in the future. His opponent, Herbert Hoover, was president when the Great Depression hit the country and Roosevelt’s campaign wanted to present the weary American public with a sense of hope for the future. The Levin song fit the bill. The song’s title became Roosevelt’s campaign rallying cry. The American public was quick to dub John Kennedy simply JFK, so it was natural to call his predecessor, Lyndon B. Johnson, by his initials, too. 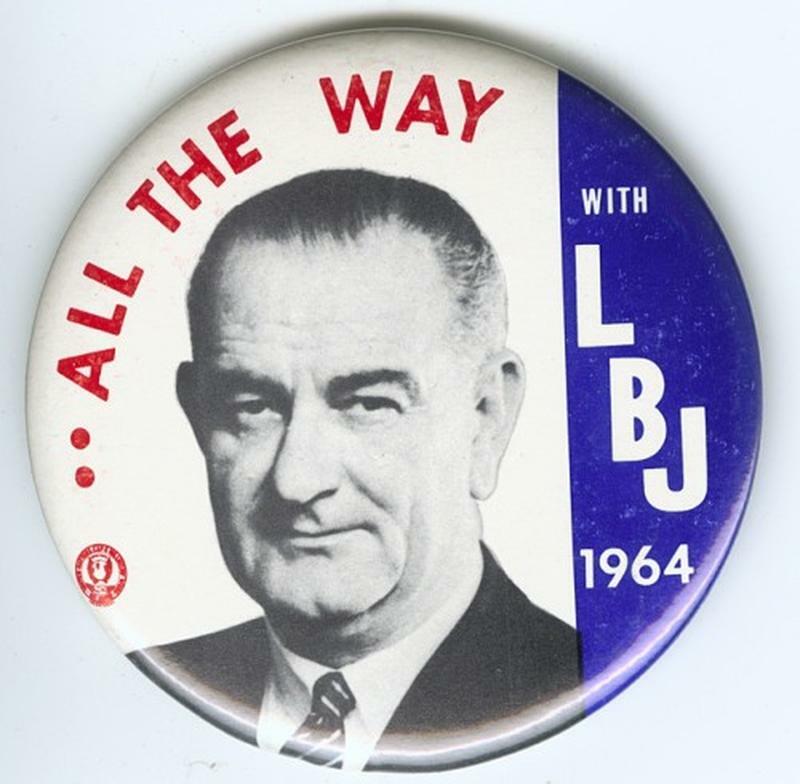 When LBJ sought re-election in 1964, he used the catchy, rhyming campaign slogan, “All the way with LBJ.” It worked. Johnson secured more than 90% of the electoral votes to defeat his opponent, Barry Goldwater, who had his own clever slogan. Someone realized early on that Barry Goldwater’s last name is a compound word comprised of the names of an element and a chemical compound. That meant his name could be represented using the Periodic Table of Elements symbols. The symbol au, for gold, and the symbol h2o, for water, was merged to form Barry Goldwater’s campaign slogan. Perhaps this was a bit too brainy for the general public. Goldwater lost the election by a huge margin.